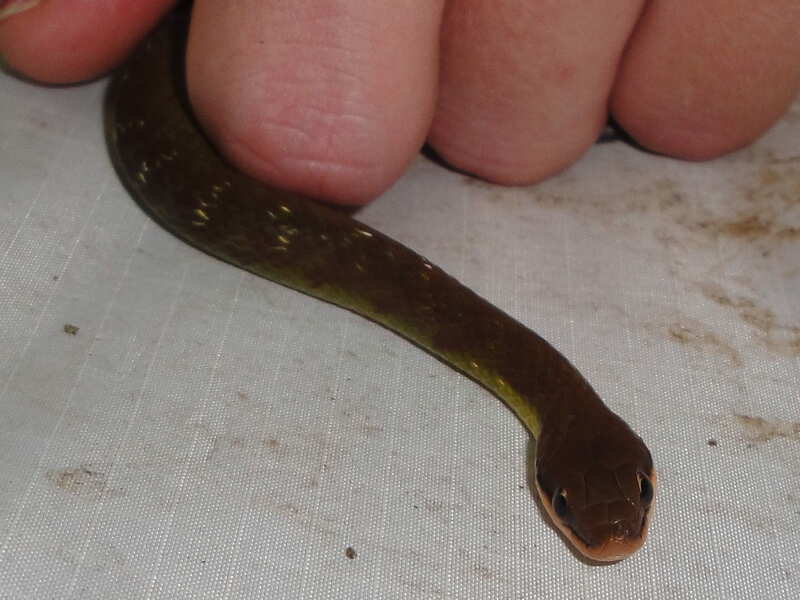 Now that the Panama excursion is over and we are (somewhat sadly) back in Green Bay, I revisited the herp list that was compiled and added pictures to some of the species that we saw. 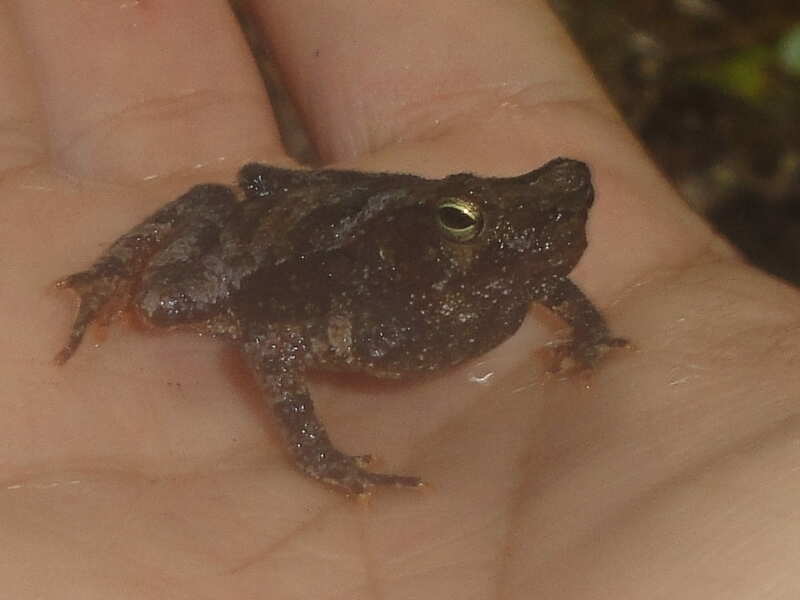 Many of the specimen (especially the frogs and turtles) are left unidentified because I do not have enough pictures of each individuals to be able to make a positive identification. 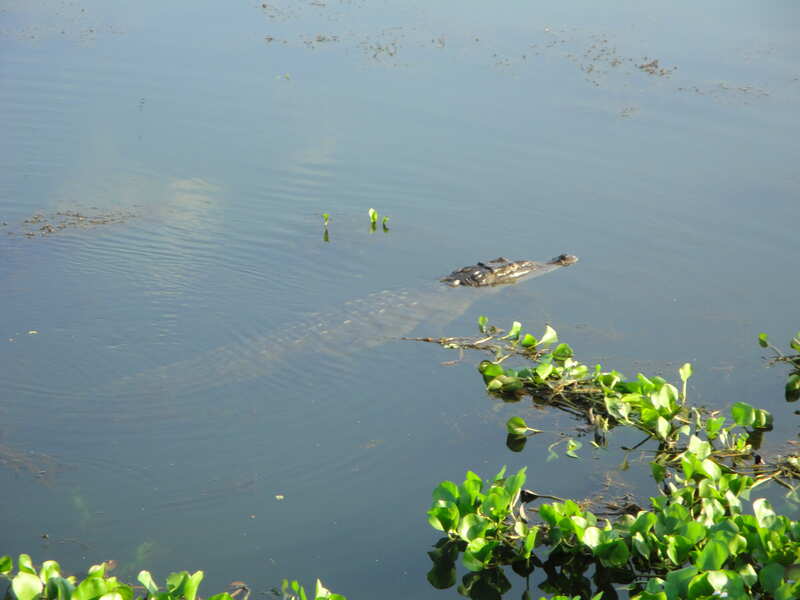 Spectacled Caiman (Caiman crocodilus) – seen around the pond/lagoon at the research station. 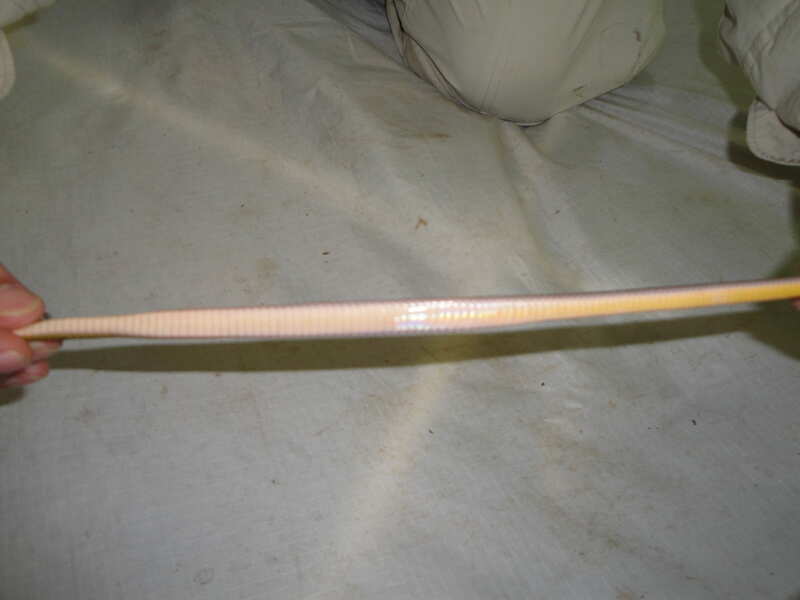 We saw one specimen that must be at least 4-5 ft. long but was unable to photographed it. Current status – Unavailable but are abundant in some range. 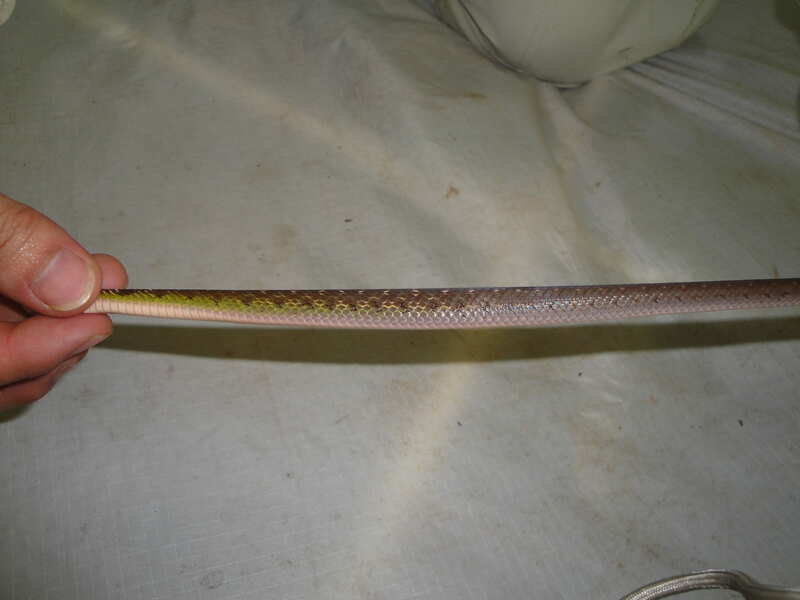 Can grow to 8 ft. long (average is about 6 ft. long). Got the name ‘spectacled’ from a scale bridge between the eyes which resembles a spectacle. 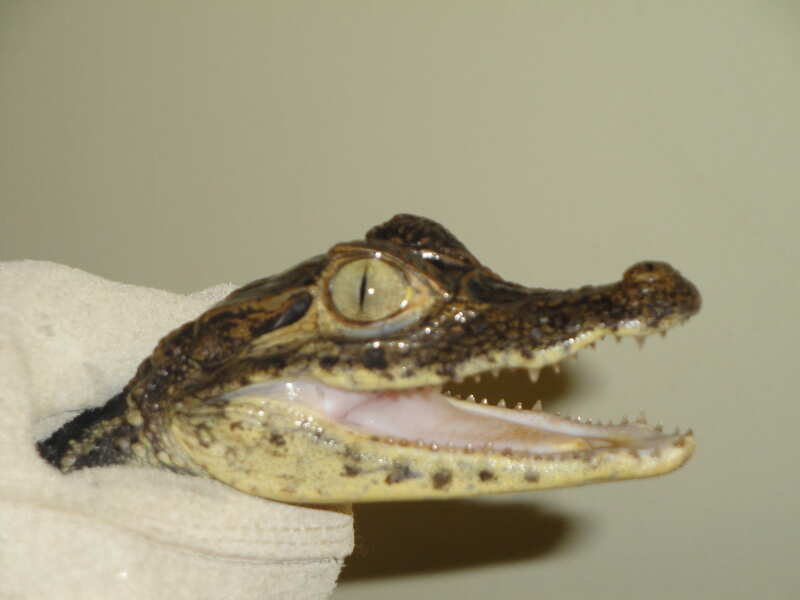 One interesting fact about the caiman is that it has the ability to change color (by movement of black pigments on it’s scale). 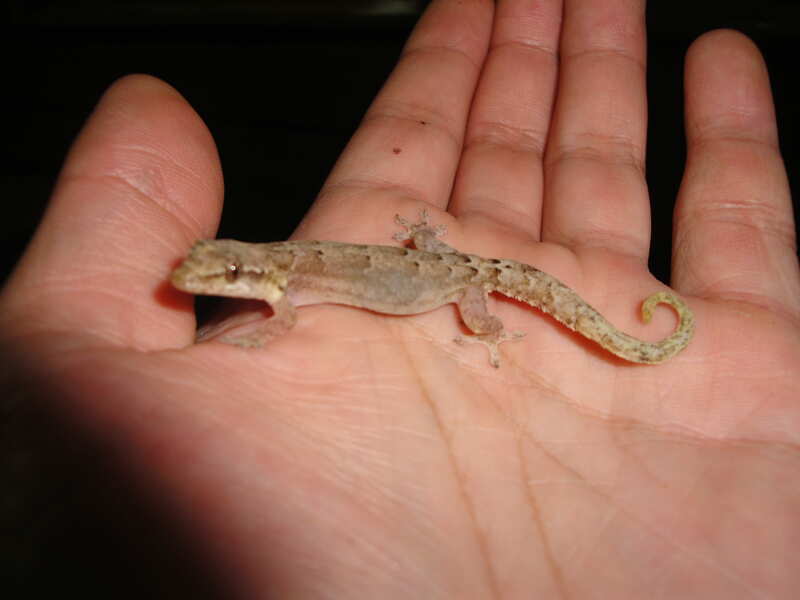 House Gecko from the family Hemidactylus – seen clinging to buildings all over the research station. 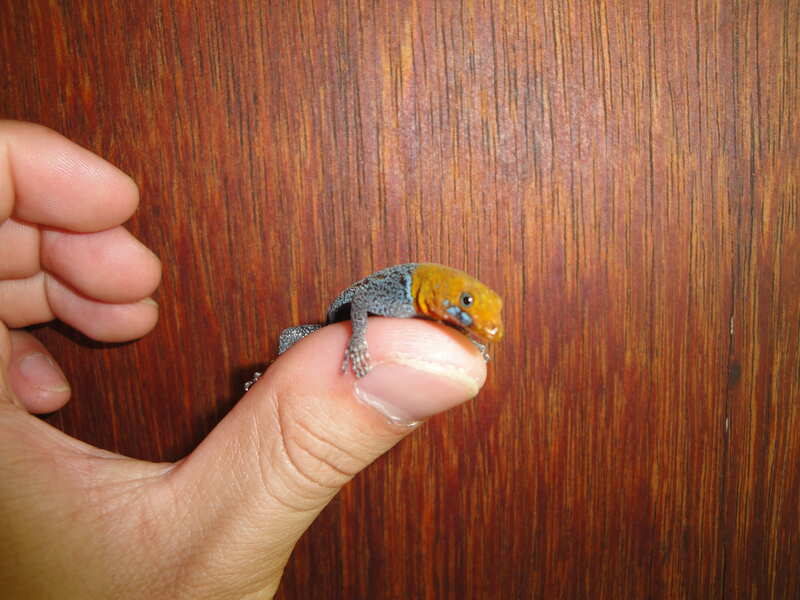 There are over 90 species of house gecko worldwide and all are found in the tropic. Yellow-headed Gecko (Gonatodes albogularis) – seen on buildings at the research facility at Bocas. 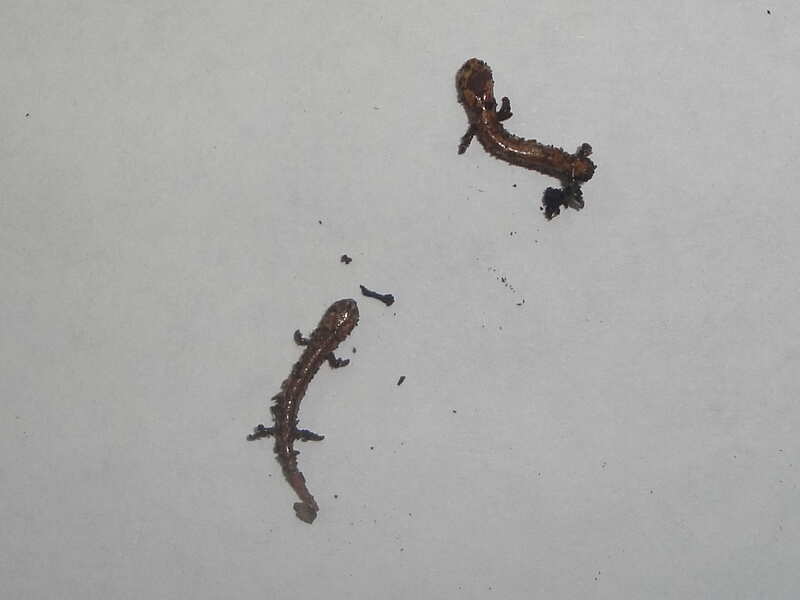 These are dinural geckos that grows to about 6/5 to 9 cm long. Only the male exhibit the bright yellow head. 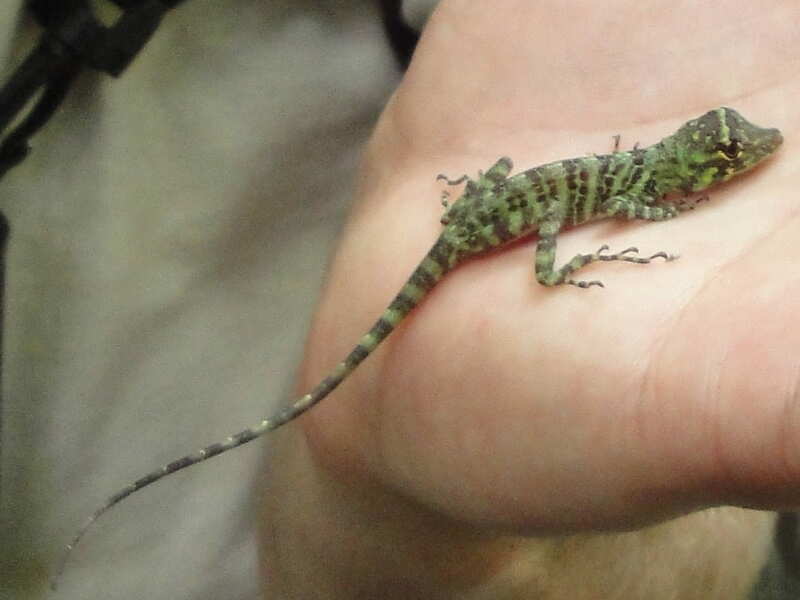 *Other small lizards (anolis spp. 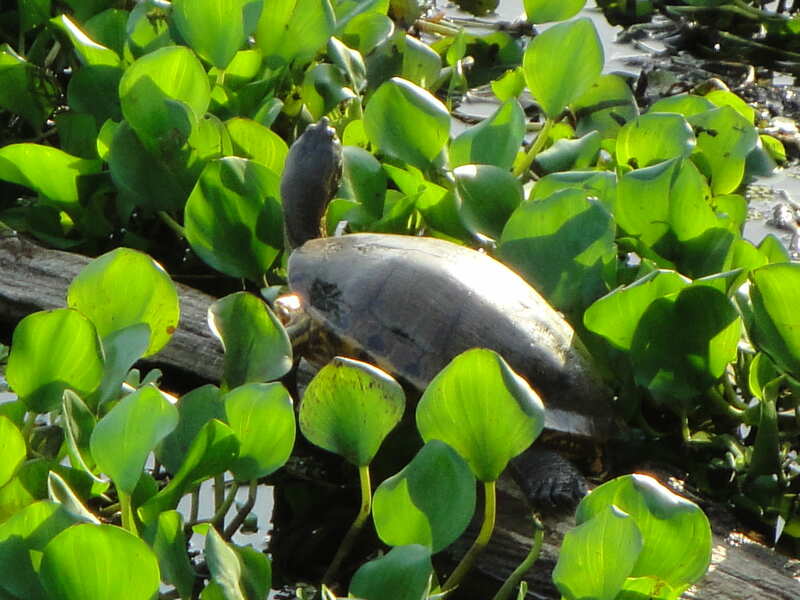 ), turtles and a toad were also seen but I wasn’t able to take photos of them. 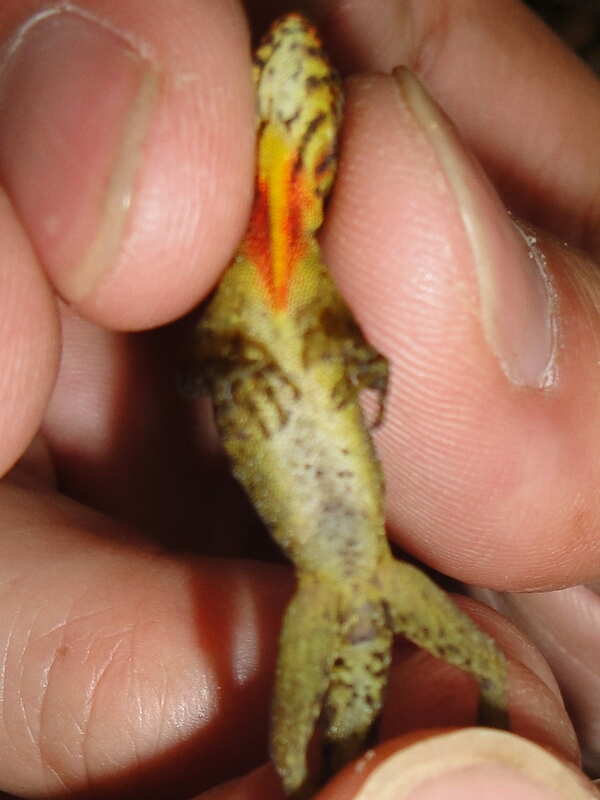 Lizard specimens from the family Polychrotidae (anolis) – found at Fortuna. 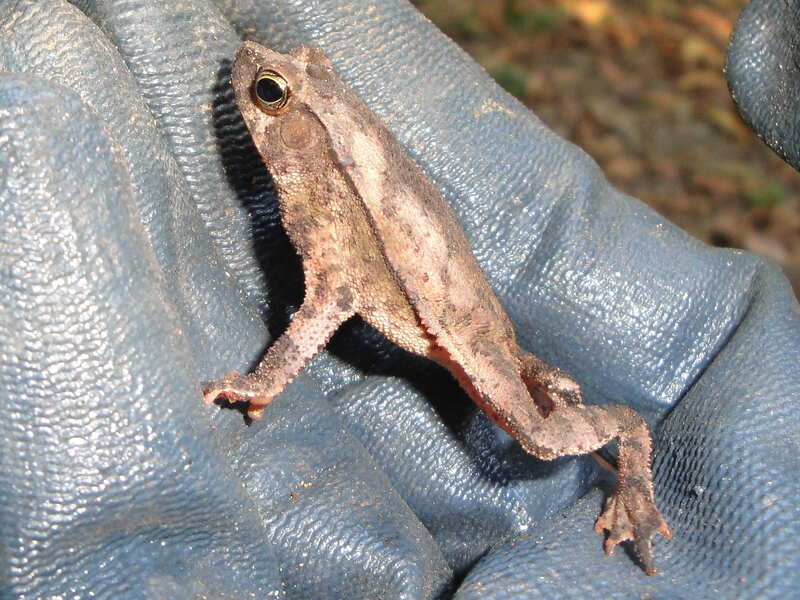 *various specimen of toads, treefrogs, and a silver lizard (possibly Diploglossus bilobatus of the family Anguidae or alligator lizards) were also seen but wasn’t photographed. Brown or striped basilisk (Basiliscus vittatus) seen along the many small creeks in Gamboa. 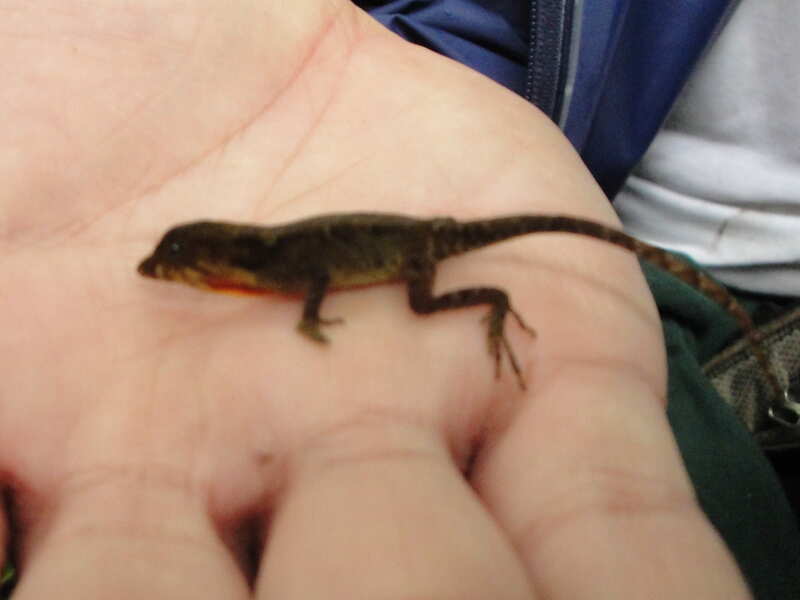 Mountain salamander (Bolitoglossa schizodactyla) of the family Plethodontidae that Dr. Michael Draney accidentally collected while collecting spiders. American crocodile (Crocodylus acutus) seen at the Mariana at Gamboa. 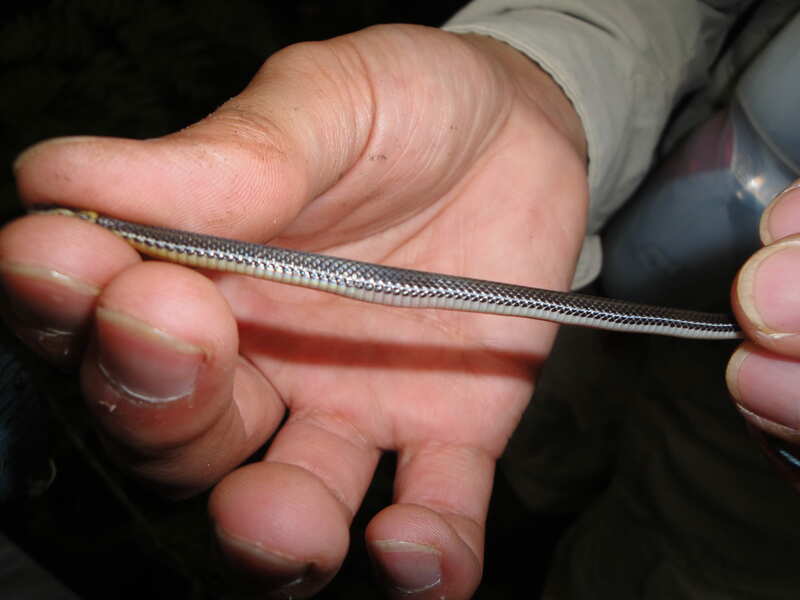 This particular specimen is estimated to be about 13-16 ft. long. They are currently classified at vulnerable, however they are endangered in parts of its range due to hunting/poaching. I have a few good videos but unfortunately am unable to download them as the files are too big. 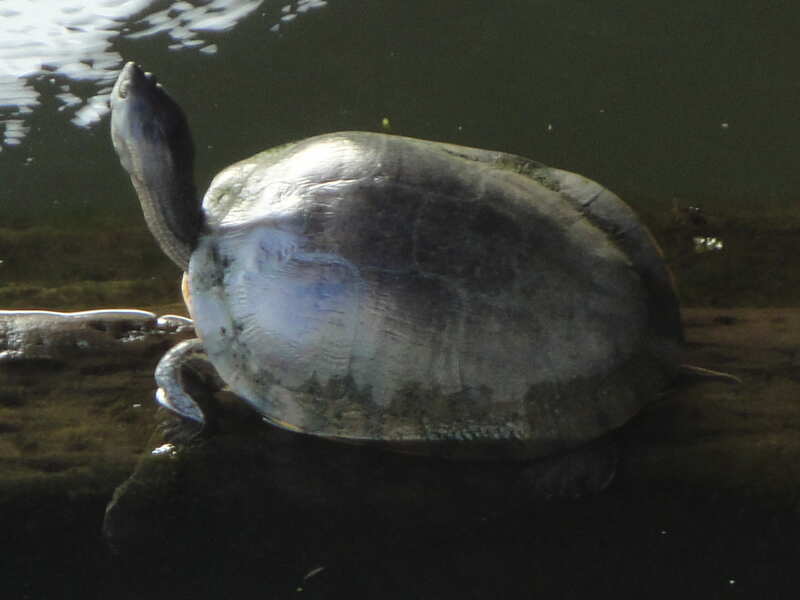 Pictures of the many turtles that we saw at the Mariana in Gamboa. *A large male green iguana (Iguana iguana) was also seen basking around the old schoolhouse by Chase (who was able to photographed the specimen) but I wasn’t able to get a picture of it. 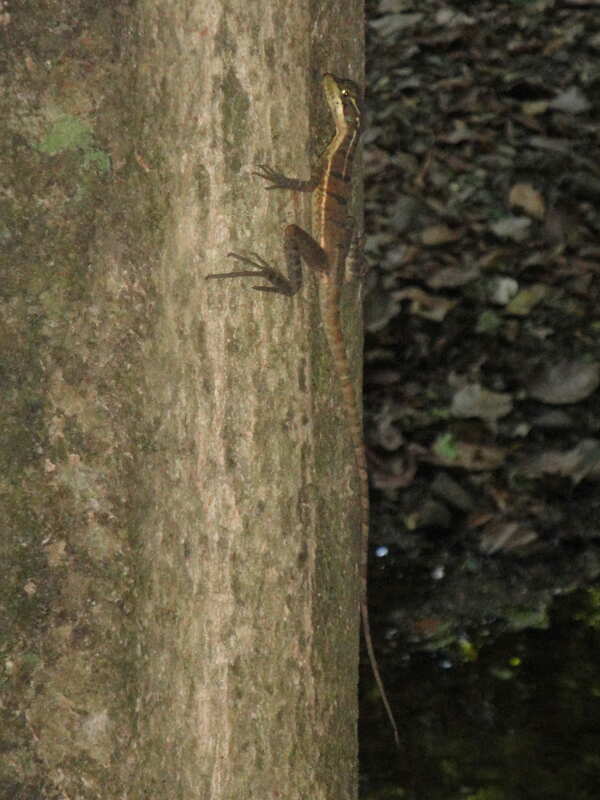 *While walking the trails at BCI, we heard what the guide said are lizards of the family Teiidae (whip-tail lizards) running away. This year we were not studying birds and did not have any ornithologists with us, but we still saw some interesting species. Some highlights include several pretty little hummingbirds including the Black-throated Mango, Long-tailed hermits, and white-necked Jacobans. We saw several hawks, but had a difficult time identifying them. One beautiful one we got a good look at was the Pearl Kite. I had never been to Fortuna and saw 12 new species just sitting on the front porch one morning. One of the cutest was the Rufous-collared sparrow. Feeding with the sparrows were a pair of Lesser Seed-finches and a male Yellow-faced Grassquit. I also saw several flycatchers, including a Yellow-bellied Elaenia. We caught a Yellow warbler and a Ringed Kingfisher in the bat nets at Bocas. We saw a pair of Linneated Woodpeckers and both Yellow and Red-rumped Caciques, and a Fasciated Antwren on Pipeline Road. At BCI we were able to see Crested Guans and a Red-capped Mannikan. We only saw 2 trogons: Slaty-tailed and Violaceous. Of course we saw lots of parrots and both Chestnut-mandibled and Keel-billed toucans, as well as Collared Aracaris. Two birds with great names, the Chacalacas and Bananaquits, were everywhere in Gamboa. In total we were able to identify about 65 species of birds without even looking for them. And I learned that I definiely need to study those large and mid-sized Tyrant Flycatchers. Today is our last day in Panama. We will be visiting the canopy crane to get a view from above the trees. In the afternoon we will visit Owen McMillan’s butterflies and then walk down to the Chagres River for one last view. This evening we will hear more about Panama’s primates and then its time to pack up and get a little sleep before we head to the airport at 5 am tomorrow. We should be back by 7:30 pm. At least we hope so! 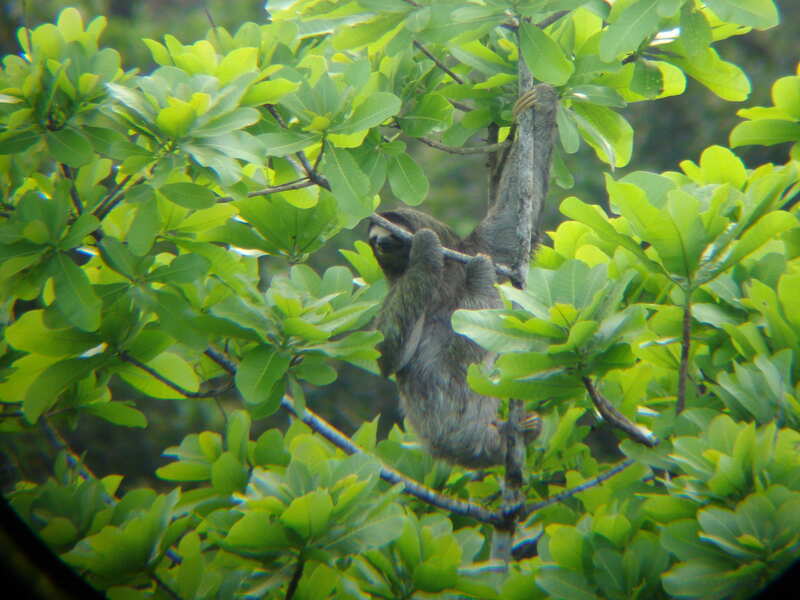 I was able to get some amazing footage of a full grown male three toed sloth this afternoon at the Panama Rainforest Discovery Center. 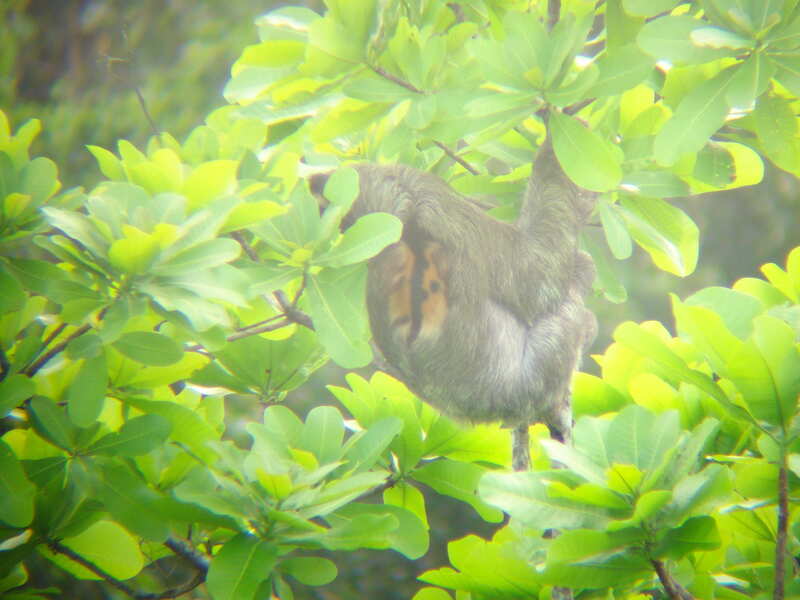 From their canopy bird watching tower our guide spotted the sloth in a nearby cashew tree. 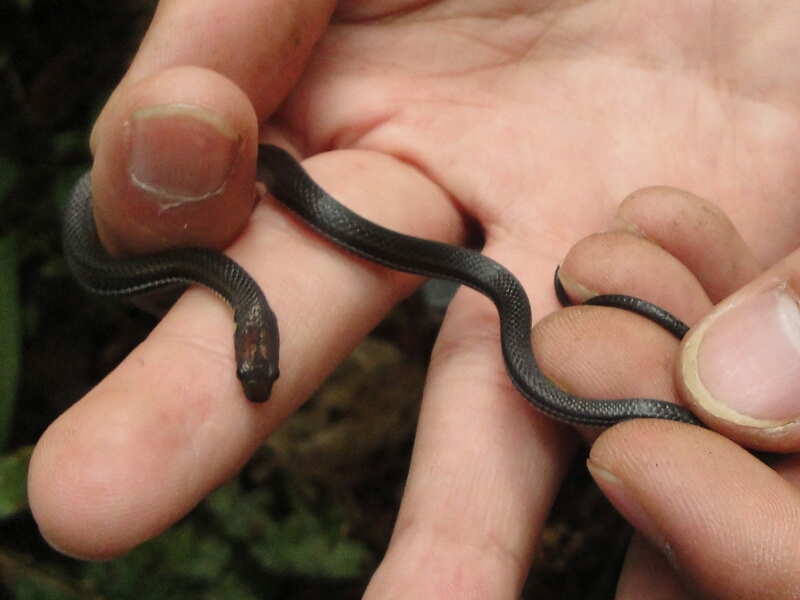 The black stripe and spot of shorter orange hair on its back indicates that it is a male. Enjoy this great picture and video! Today we began our work with Dr. Choudhury from St. Norbert College and his colleagues. They are interested in the freshwater fish species in the rivers draining into the Chagres River and the parasites that they carry. We started on the River Frijolito on Pipeline road and within less than 90 meters we caught hundreds of fish. With four hauls we were able to catch 7 species of Characidae (Tetras), 3 species of Poeciliidae (Guppies) and 3 species of neotropical catfish including an armored catfish, which are hard to find due to their cryptic coloration and bottom dwelling habitat. The diversity of species in such a small area is amazing and when we first looked at the sample area it did not look like it contained the number of fish that we found. 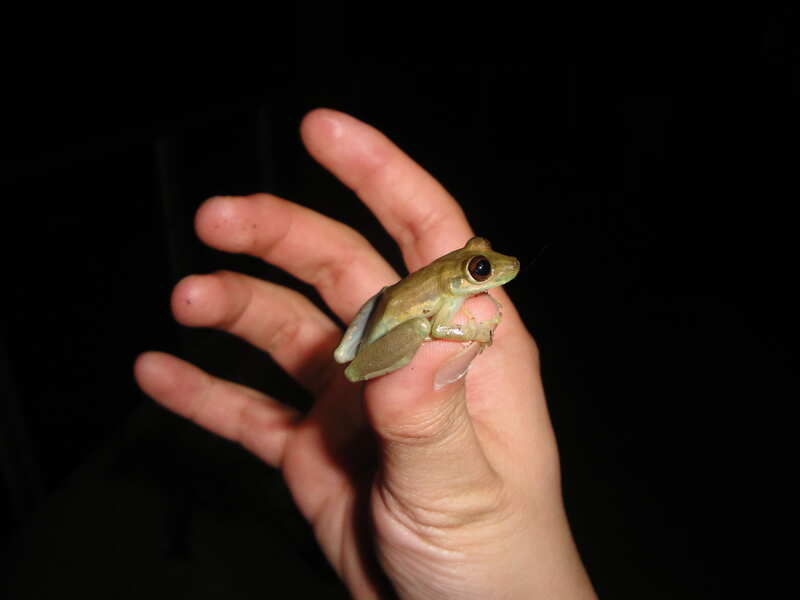 This is yet another unique experience for us conducting field research in the tropics and it was a great hands on opportunity. Wading through the cool water felt great compared to the heat of the forest. 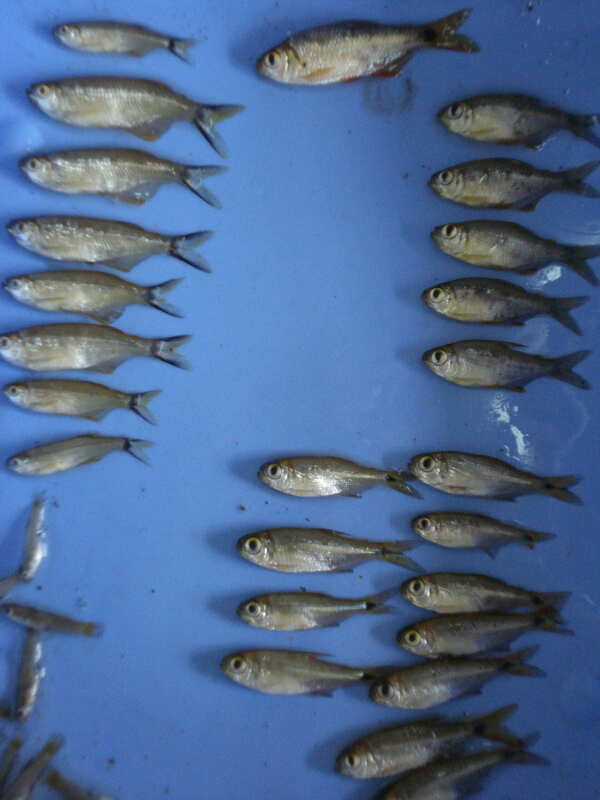 After the fish were collected they were brought back to the lab where they were dissected for parasites. This evening we were able to see a fluke that was taken out of the gut of one of the larger fish and nematodes from a catfish. 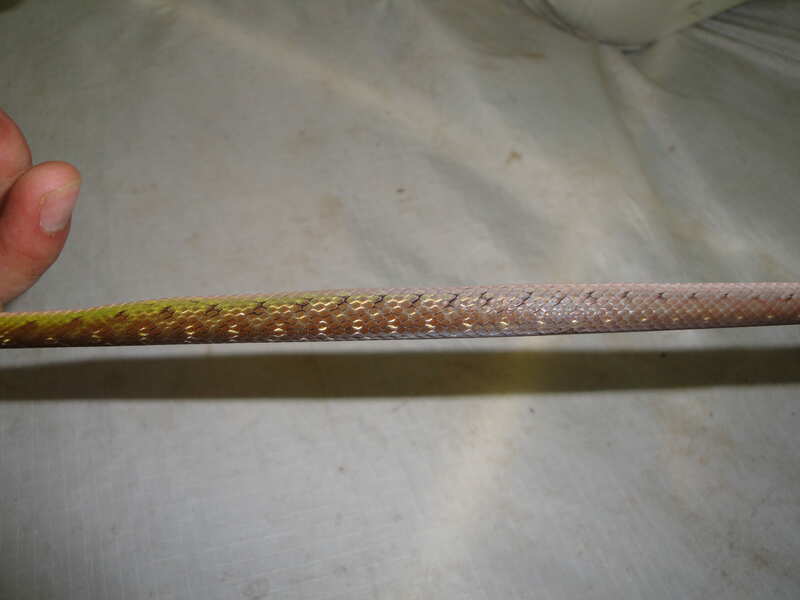 They were really neat to see up close and will be used to study the patterns of parasitism in neotropical freshwater fishes. In a country surrounded by saltwater there is a whole world of neotropical freshwater fish to study and classify. Today Dr. Draney caught a bullet ant (Paraponera clavata). To the locals it is called the 24 hour ant, because when bit the pain lasts for 24 hours. It is ranked as the most painful insect sting in the world and is second only to the giant Japaneese wasp (which is the size of your thumb) in terms of being the most dangerous insect in the world. 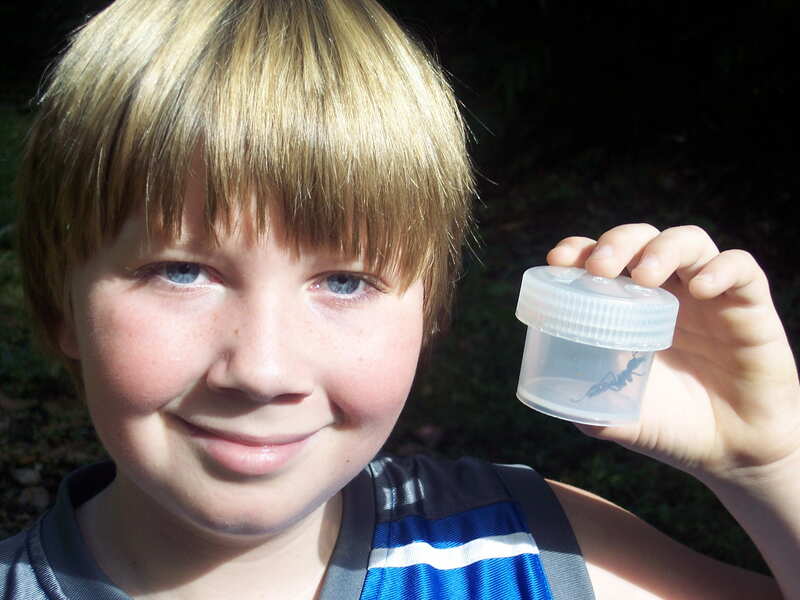 Below you will see a picture of me and the bullet ant, which is nearly one inch long. Panama has been great and I would like to say hi to all my friends at Jackson School and Mrs. Van Rens. 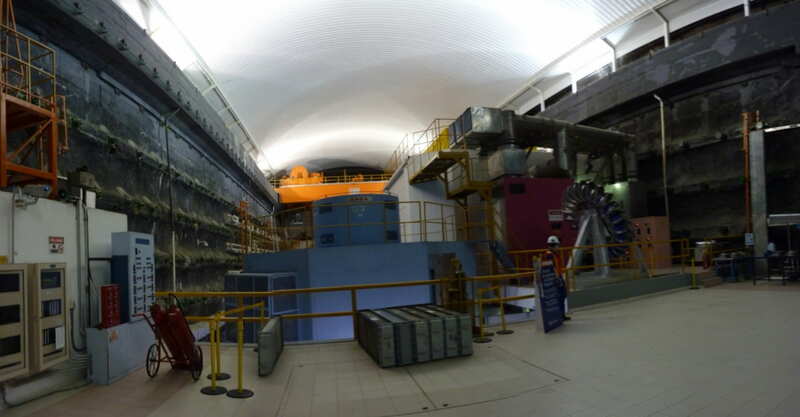 The hydroelectric generation facility located deep within a mountain near Fortuna. We had to drive 1.6 km down into the mountain in order to reach this location. 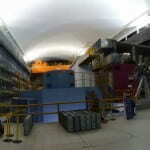 The large blue cylinder is one of the three water-driven electric generators. 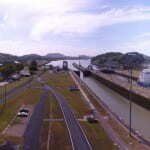 A look at the canal in both directions from the viewing floor at the Miraflores Locks. 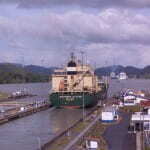 A large ship passes through the upper lock while another ship is being raised through the lower lock. 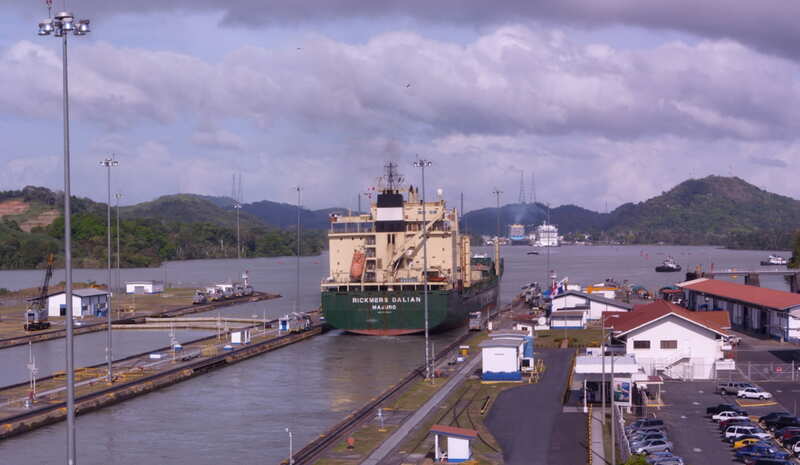 Large ships can pay over $100,000 to pass through the canal system. Looking downstream at the Rio Frijoles off of pipeline road. 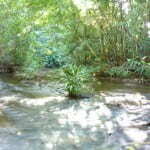 The site is similar to that which we will be sampling for freshwater fish. One of the theories put forth on why there are more species around the equator when compared to other temperate/arctic ecosystem has to do with the high temperature and humidity. 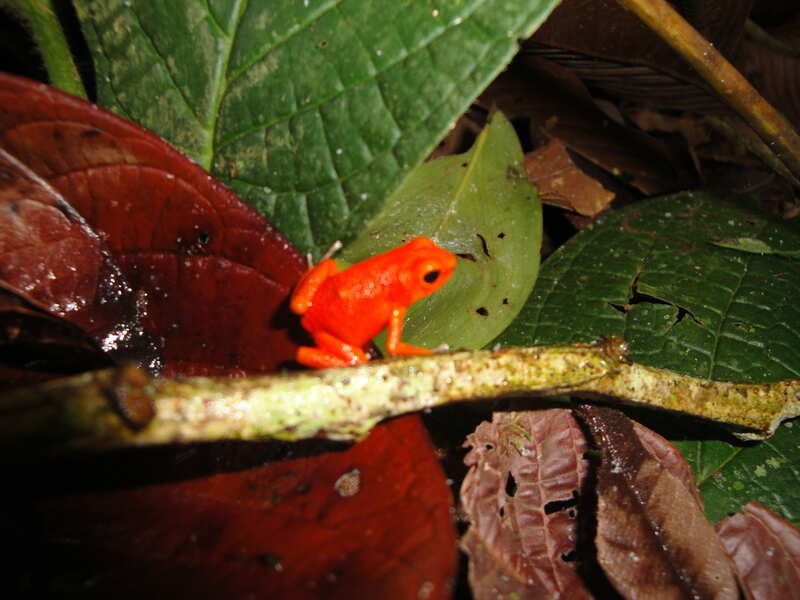 It was hypothesized that warmer temperature and higher humidity around the equator allows for more species of organisms to flourish. 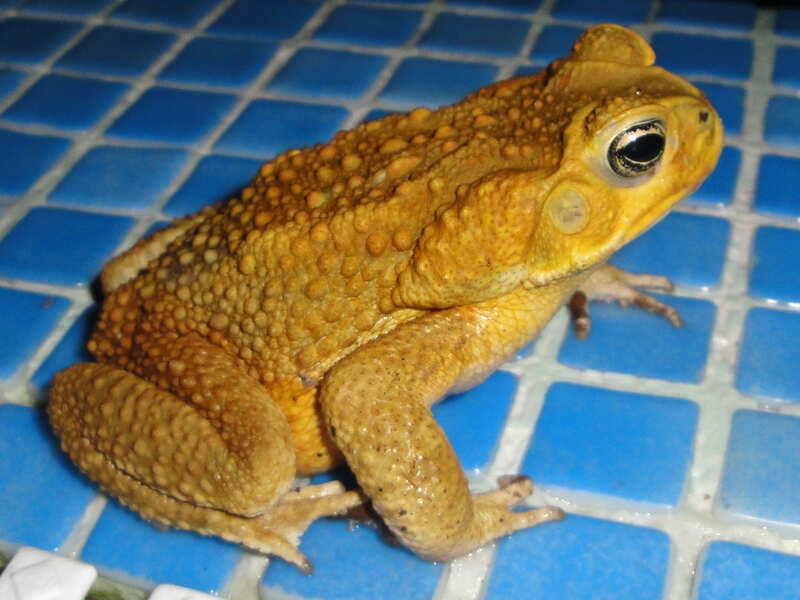 Reptiles and amphibians are two families that support this hypothesis. 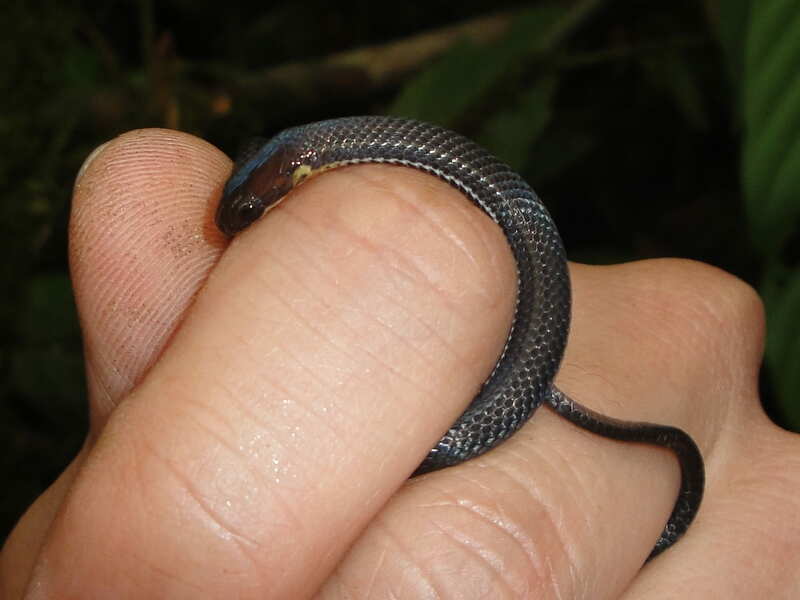 Generally, as one gets closer to the equator, reptiles and amphibians (hereafter, herps) do become more abundant. One of my interests/goal on this research project is to catch/see as many herps as possible and try to identify what species they are. Although most of the herps are not yet identified, I will list each species that was spotted either by myself or another member of our group. 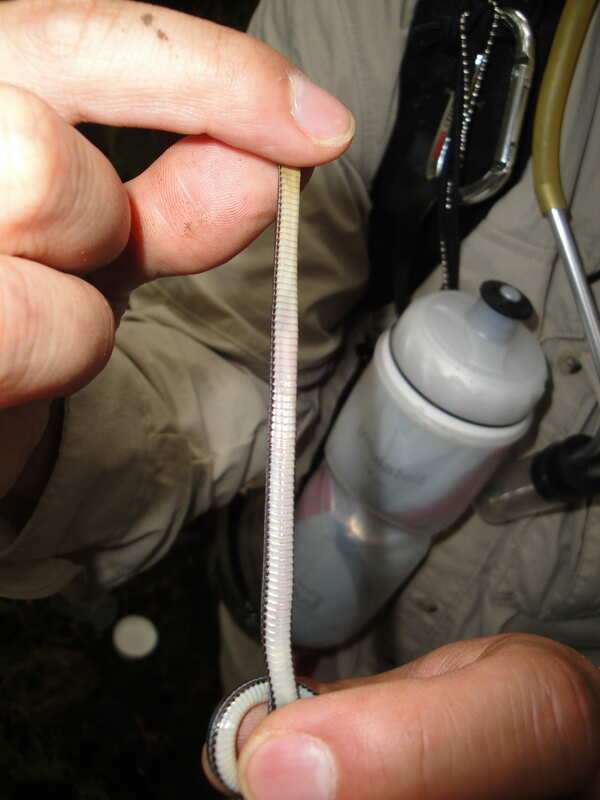 Later, after identifying the species, I will post some pictures along with a brief description of each on this blog. As the research continues, more species (hopefully) will be added to this list to be identified along with a few pictures of each if possible. 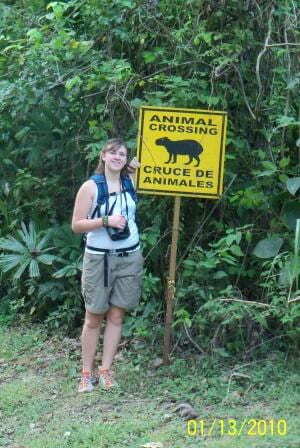 Despite what Dr. Katers says there is more to the wildlife of Panama than mangy dogs, wild chickens, “birds”, and “bugs”. Today we took a walk down to the resort in Gamboa. 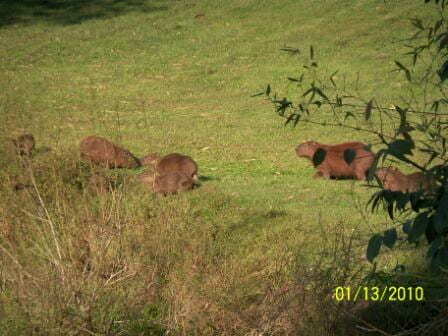 While we were there we saw a herd of Capybara. They were munching the grass before we scared them into the pond. Capybara are fascinating creatures. They are the largest rodents in the world. 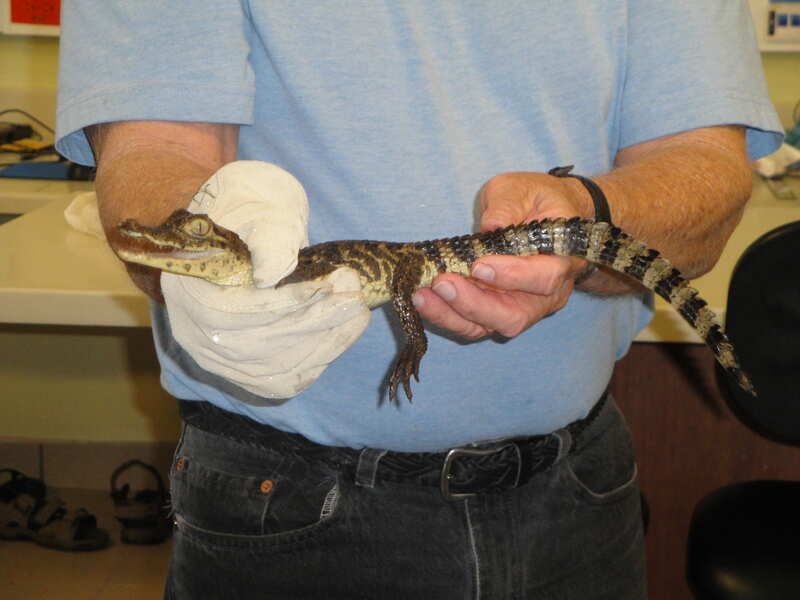 Some of them are the size of small pigs, reaching up to 100 pounds. They are also semi-aquatic, like beavers of muskrats by us. 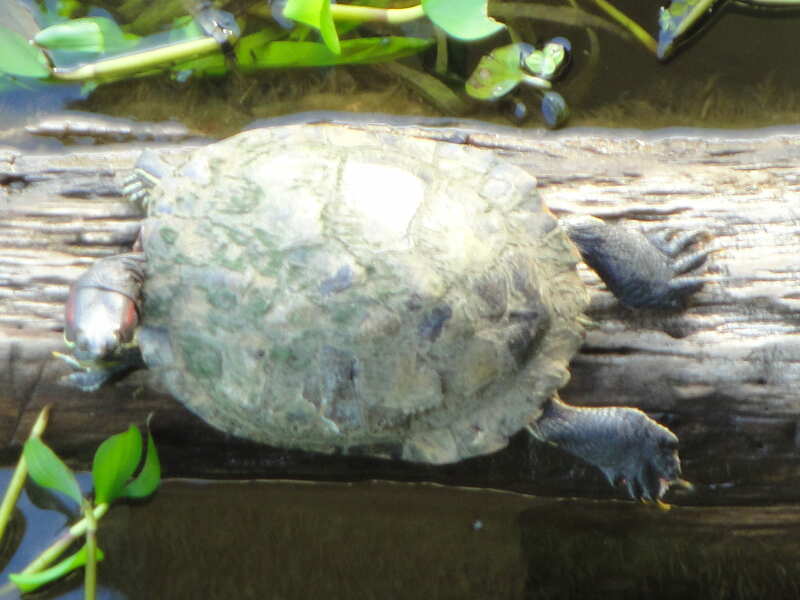 They hang out by water with lots of vegetation, which is their food source. They are strict vegetarians. We also saw a few Agoutis, which are equivalent to squirrels at home. You find them everywhere. 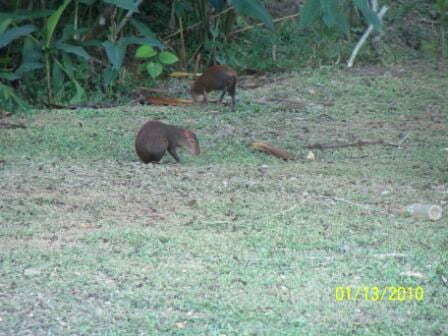 They are also quite strange looking, but not nearly as big as Capybaras. Agoutis have the hind legs of a rabbit, made for hopping, but their feet are very very thin. 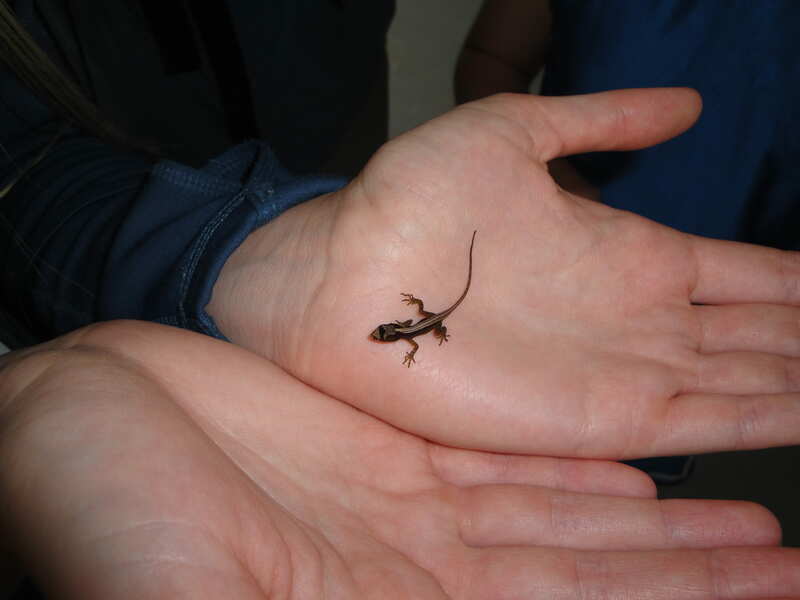 So far on the trip we have also found numerous geckos anywhere you look. We have seen bats of many types, and we have definately captured a whole bunch of interesting and unique spiders. 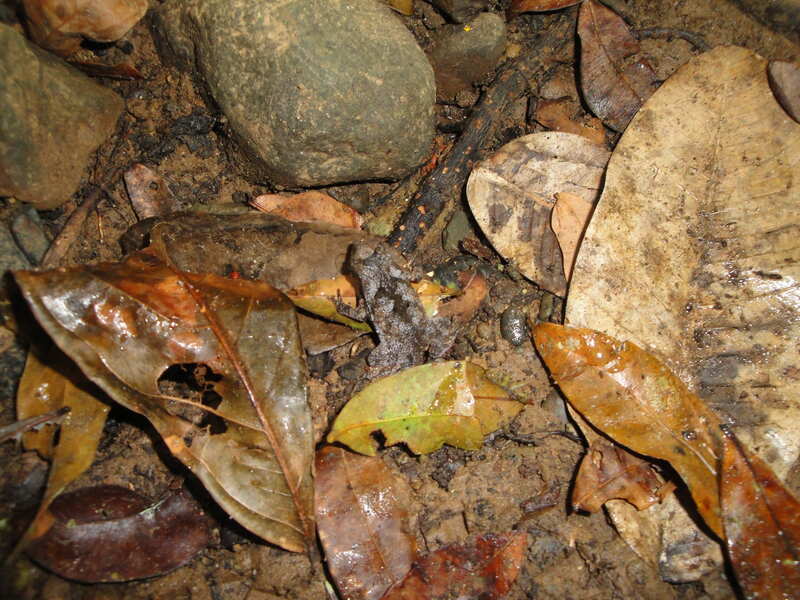 These are just a few members of the tremendously different fauna found here in Panama. These last few days are sure to be filled with many more exciting finds. A great dam tour with a great dam guide! I apologize for slacking a bit when it comes to this blog but it seems like a lot of the highlights have been summarized well by everyone else. The reefs of Bocas and the forests of Fortuna held amazing amounts of biodiversity, but some of the various engineering projects we have seen have been just as fascinating. Fortuna is home of the Fortuna Dam, a 600 m long concrete structure that has truncated a river and created a huge reservoir. At a typical dam, the hydroelectric facilities are inside the dam itself, but the Fortuna Dam is quite unique in that the reservoir water is channeled 6km in an underground pipeline to an underground hydroelectric facility before being channeled an additional 8km to a discharge location. The benefit of a setup like this is that the head (difference in elevation between reservoir and turbine level) can be increased to increase water speed and thus increase power. In the case of the Fortuna Dam, the head is 800m; so a lot of power can be generated using a minimal amount of water. The maxiumum power output of the 3 generators combined is 321 MW which doesn’t seem like much (the main coal plant in Green Bay produces 350 MW), but provides over 1/3 of Panama with electricity! We got to view the dam, tour the museum, take a (rainy) boat ride on the reservoir, visit the control center, and go 500m underground into the hydroelectricity facility itself (we got to wear stylish hard hats too!). In case it isn’t already apparent, I found the Fortuna Dam really interesting!